In our Edwardian renovation/extension, we are planning to have double doors leading from the hallway into the open-plan dining kitchen. We really like the Crittal style of metal doors/windows but the cost is prohibitive for us. We have seen the doors in the attached pic, which look like a standard timber door, with a metal window frames - but not entirely sure how to go about creating the look. Can anyone help please? Thnx. Hi - we're in West Horsley, Surrey, UK. 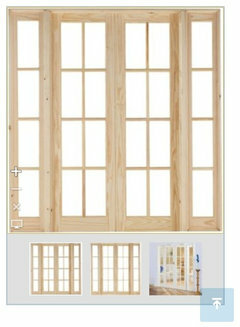 I wondered if Jeld-wen might have something, they are usually very affordable, but they only appear to have fully glazed doors - http://www.jeld-wen.co.uk/products/interior-doors/products/interior-doors/?productId=6640 Sorry not to be able to find something closer. Can you give me an approx. cost? Have a look at The Heritage Window Company. They replaced some of our crittal windows with aluminium, but they are a very close match and look lovely. I am sure they could do something for you. Ha all, Im wondering this too. Were you successful in finding a companythat made them at reasonable costs. Hi Matt, do you have a contact number i can call you on? Thanks for he tips Calvin but it's external. Wooden windows would be fine but we really want the door double glazed aluminium. I am a maker of metal and glass doors. @Jo Middleton did you find a resolution to this? Do not trust William/Will McLoughlin of MacMade whatever you do! 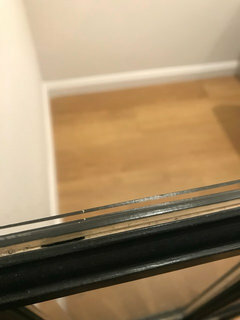 He has been stringing us along for weeks and weeks and still no doors and no refund of our £900 deposit. Ignores calls, emails etc. He appears to be conning people left right and centre. I am the third person to have just written a review to the same effect. Although he tried to tell me the first one was fake. He also threatened to leave my own business a bad review if I did him, which he has had absolutely nothing to do with! So disappointing and upsetting. A deep shame as his work did indeed look great. Highly unprofessional and dishonest and should not be trusted! Horrendous people like this can keep getting away with it. Ah .... I thought this was too good to be true. Thank you for this. Most appreciated. If I could work out how to PM you I would. Peter, I was going to explain how to send an email/PM but the facility seems to have disappeared on my iPad so perhaps that’s why you can’t see how to do it. Not sure what’s going on here. Yes I can’t see it either. I’m tech savvy so I think maybe they have removed it! I am having real difficulty sourcing an alternative to traditional crittall. I'm hoping to create the classic crittal look with a dividing wall between my kitchen area and livingroom but at a fraction of the cost of the metal framed real thing. I was thinking perhaps wooden framed painted dark may create the same effect but again I'm having trouble sourcing this.... while keeping within our tight budget. Alan Gilmore did you end up doing it how did it come out? @LTS I had the exact same issue... I solved it by piping the thinnest line possible of black silicone around each pane. Looks so much better than seeing the pine rebate or bleeding paint! Hi, I'm in the West of Ireland looking for alternative to the metal Crittal doors. Any help would be welcome! What are your thoughts on Crittall-style windows? Would you rather have: Crittall windows or sash windows? 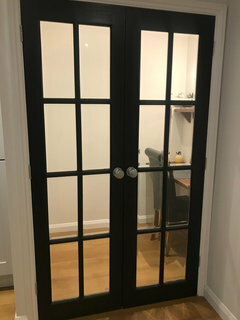 Crittall internal doors effect - any other alternative? 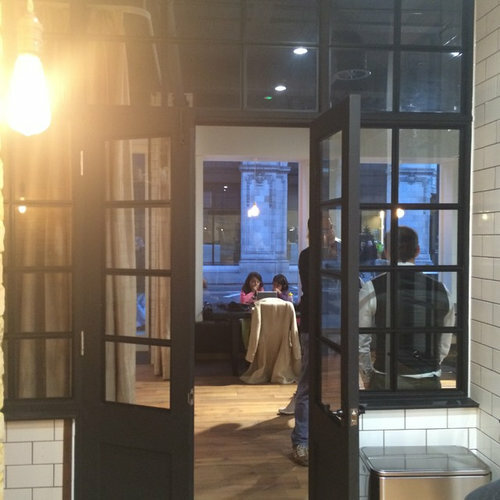 Crittall glass screen or double door?